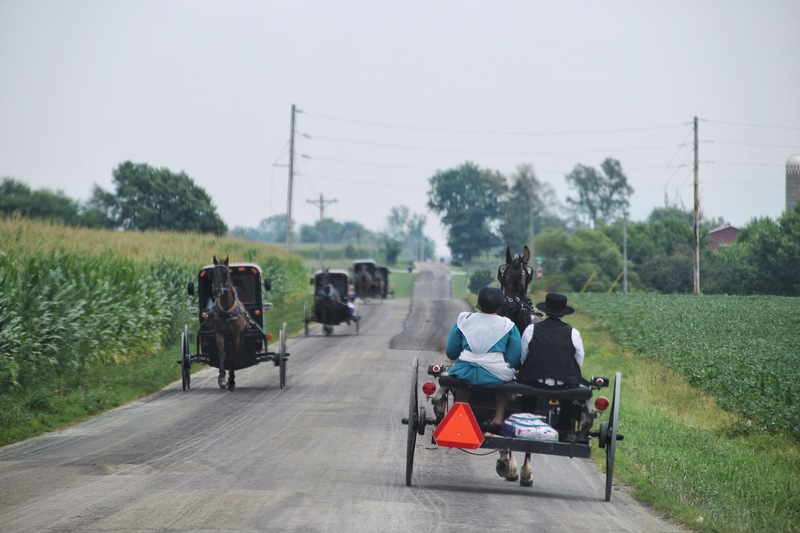 Amish families on their way home from church. Fountain City, Indiana. July 2018.